I recently had some carpets cleaned with Steve Richmond Carpets, I have found the service to be of a very high standard, and the work carried out was exceptional; Carpets look and feel like new and the smell is fantastic. The price was excellent, and the workmen showed up on time, even though I had to cancel first time around due to illness. They also called to my mother in law and cleaned her carpets on the same day too without an appointment being arranged by us. Would have no hesitation in recommending to family, friend and colleagues and reusing Steve Richmond Carpets again myself. When a tenant recently moved out of one of my wife’s rental properties, it was left requiring some redecorating which is included the replacement of carpets. I then referred to her BNI’s resident flooring specialist, Steve Richmond. One of Steve’s team came round to measure up, so he could quote her for new carpets from a range of floor coverings to suit her budget. Satisfied with the quote she ordered the carpet to be fitted and was done so to a very high standard and at her convenience. Unfortunately, with no fault to Steve, a small manufacture’s imperfection was discovered to the stair carpet. With no fuss and in double quick time Steve’s fitter’s came back to rectify the problem. 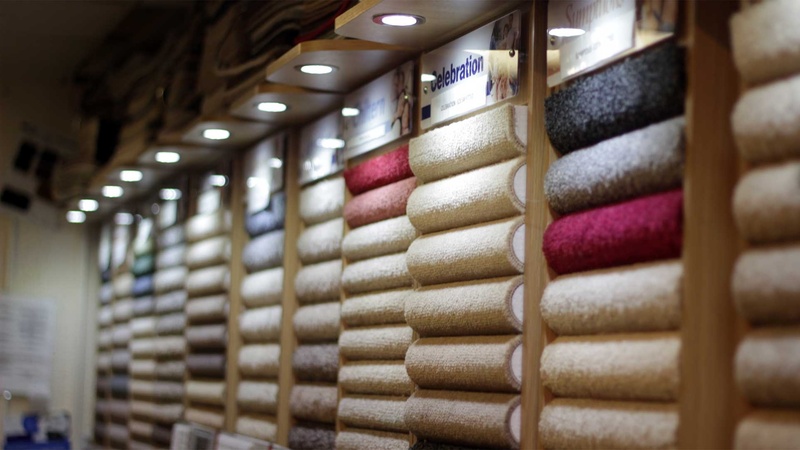 Not only was the quality of Steve Richmond Carpets’ supply and fitting excellent, but his after care service and customer relations was also top notch. Following on from this, I have already task Steve to provide new floor coverings to our new house and would have no hesitation in recommending Steve Richmond Carpets to others. I asked Steve to come and put the love on the floor that he’s so known for in my new salon. As usual Steve rose to the challenge!!! I was so impressed with the floring I had from Steve that I decided to have the same again. Loads and loads of my clients have commented on the TLC flooring and it makes the new salon look awesome! I would have no issues using and offering Steve’s services to others in the future. This is a letter to thank you and your business for the new carpet you supplied and fitted in our home last week. We asked you to give us a quote for new carpet for the stairs and landing almost 6 months ago. A member of your team measured the space and worked out exactly what we needed including carpet grippers, underlay and dividing strips. We called in to the shop and took many samples home to get the right shade. 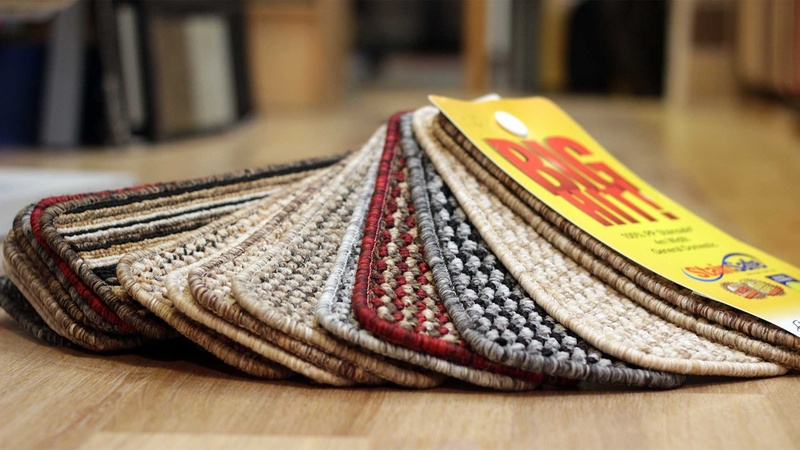 After choosing the carpet, you worked out a very competitive price which we accepted. We were waiting for other building work to finish before we would be ready. The building work took a lot longer than we expected hence the long delay between the quote and the installation. After getting back to you months later you had all our details ready to go. Within a week a fantastic new carpet was installed which looks and feels great. Once again, thanks to you and your team for a great service and we look forward to dealing with you and your business again. I rang Steve last week and requested a quote for a professional end of tenant clean on my carpets. (I have pets!) He, impressively, send one of his boys around within the hour to assess my carpets. After then receiving a quote from Steve that afternoon for a dry clean, I was suitably impressed and booked the cleaning for a few days later. Steve’s carpet cleaning expert arrived promptly, was very pleasant and got straight to work. I left him to his own devises and an hour and a half later he was done. The carpets looked fresh, clean and smelt fantastic! I’d go as far to say better than when we moved in! Thank you Steve for a fantastic service from beginning to end. Every time I have dealt with you and your team I have been nothing but completely satisfied. I won’t hesitate to recommend you to my friends and family in the future. A couple of weeks ago my son Andrew told me of your offer regarding carpet cleaning. I spoke to you at the end of June and last Monday. As a result my carpets were cleaned yesterday afternoon. The wife and I are well pleased with the result and the excellent way in which the work was carried by Ian. Steve Richmond Carpets recently carried out some work for us in relation to flooring at our new offices. The work was carried out was to a very high standard, and service was very prompt from quoting for the work to completion. The workmanship of the installers was excellent, very clean and methodical, and completed to a satisfactory timescale. 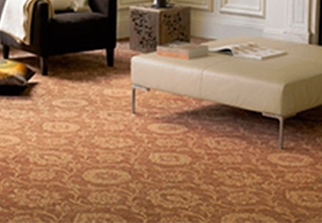 We would have no hesitation in recommending Steve Richmond Carpets to business associates, family or friends. A very professional and reliable service. I purchased Steve’s wood floor cleaner on his recommendation that my steam cleaner was only doing damage to my beautiful flooring and I’ve found that a few sprays and my wood floor looks like new. No streaks, just lovely and clean. It’s so easy to use, I don’t have to drag out my steamer anymore and I couldn’t be happier with this product. I have also recommended this product to my family members one of whom has purchased this also. Thanks Steve for the great tip, a great product and I won’t hesitate to recommend you and your products in the future. 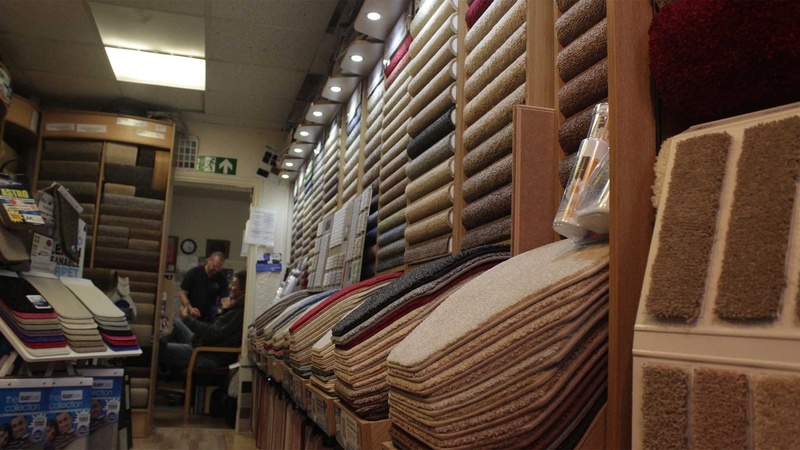 Having used Steve Richmond Carpets for nearly ten years on both a commercial and personal basis, I have full faith in every aspect of his business. They never fail to deliver very competitive pricing, with a first class service. An example of a business that demonstrates time and time again, that customer satisfaction is at the forefront of everything they do. Based on my experience of this company, I am more than happy to always recommend them. And happy to speak with anyone who would like verbal confirmation of this testimonial. Well done to Steve Richmond and staff, for building such a reliable and trustworthy company. I have written this testimonial to show my appreciation to Steve Richmond. I recently used Steve to fit new carpets for me as a surprise for my wife. Not only did Steve supply and fit the carpet at a better price than other quotations, he also fitted the carpet short notice and the work was exceptional. The surprise went to plan and my wife was over the moon. I can only again thank Steve for his assistance in the surprise. Thanks again Steve. Further more when my mother visited the next day she also loved the carpet and asked where I had bought it. I gave Steve’s details to my mum and she is soon to contact to arrange a quotation. 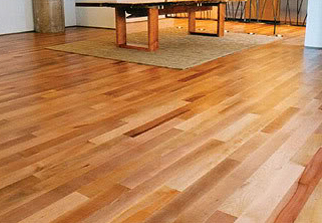 May I take this opportunity to thank you and your team for the excellent service in relation to fitting new flooring. The measure of a company’s quality is their after sales service. When the cold weather meant that the floor raised you came and repaired the floor in question, promptly and without any quibble. Dealing with you is always a pleasure as you can rely on the job always being done reliably. 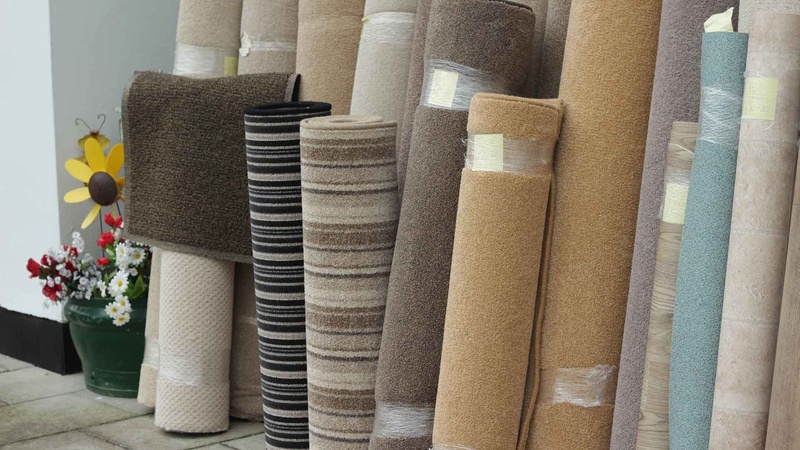 If customers want cheap then I would suggest they go elsewhere, if they want a reliable professional service at a reasonable price, then Steve Richmond Carpets is perfect for them. As a professional myself I would have no hesitation in recommending you to all my friends, family and Business Associates safe in the knowledge that you will do an excellent job. May I once again take the opportunity to thank you for your excellent after sales service. I would like to take this opportunity to thank Tim from Steve Richmond carpets for first doing a really good job on cleaning our Living Room carpet but more importantly removing the lipstick from the stairs carpet after my 2 children decided to use the carpet as a sketchpad. My whole family were positive that the lipstick could not be removed but Tim arrived and within 10 minutes had the carpet almost as good as new. So thank you again to Steve Richmond carpets who I will be dependent on for the next few years with 2 very artistic children. Thank you for cleaning the carpet in my daughter’s bedroom. There were a number of small but unpleasant stains that we had tolerated for some time. Tim came to quote at the appointed time and explained the cleaning process and its possible limitations. A date, (18th August 2009) was arranged for the job to be completed; I received a phone call confirmation of the appointment and text reminder a few days before. Again Tim arrived at the appointment time and set up to complete the cleaning job. After only 20mins the stains on the carpet had been removed and the remainder of the room was completed inside 40mins. 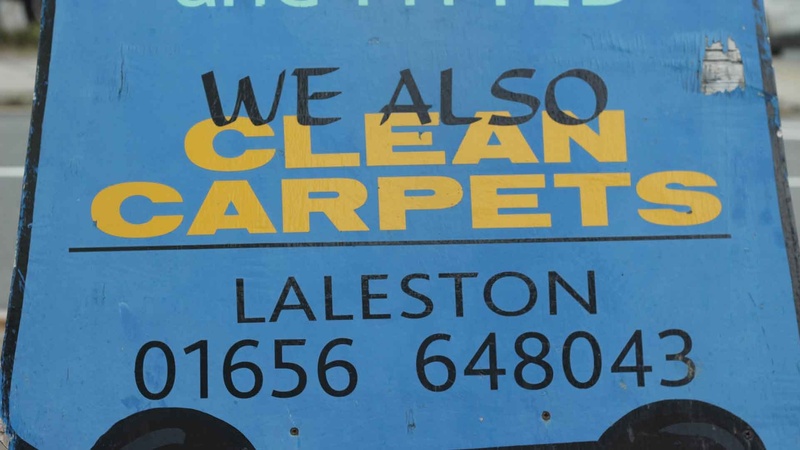 I would commend Steve and his team to anyone with a carpet to clean; the job was accurately quoted and completed with the minimum of fuss to a very high standard, thank you again. May I take this opportunity to express my thanks and gratitude to you and your staff. Firstly for the professionalism your staff portray and also of the high standard of workmanship. I had Tim to clean the carpets in my house although he said afterwards they didn’t need doing it was nice to freshen them up for when my visitors from NZ were over. You have also done work for family members, hence the 3rd referral just given for my niece who also speaks very highly of the quality of you, your staff and your products. So to that end I would not hesitate to recommend your company to all friends and family and work associates now and in the future. Thank-you for your quick service and excellent quality of carpets samples supplied to us, there was plenty of choice to choose from. Needless to say we are exceptionally pleased with the quality as well as the politeness and speedy service your company provided, we would highly recommend you to family and friends. 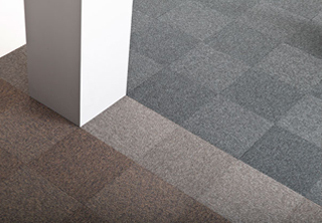 Whilst writing, thank you for the help with regards to providing an answer to the poor quality of carpet in our office and supplying us with the temporary cover of repairing the same. This is a testimonial in favour of Steve Richmond. 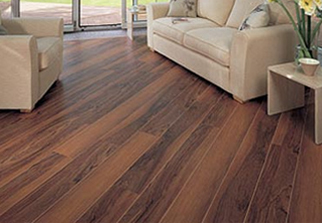 Ours was a comparatively small job and if Steve can achieve this level of service for a job like ours, then we would have absolutely no hesitation in recommending Steve for anyone else’s flooring requirements. I would like to thank you for the work carried out recently at my elderly neighbour’s house at 7 Heal Croes Faen, Nonage. After contacting you, your service was prompt and efficient. After I decorated the bedroom your carpet fitters did an outstanding job fitting the carpets. Also, because the lady was elderly, they took time and helped her put the furniture back in the room. in this day and age it is a pleasure to work with people that happily go the extra mile for people. I will definitely recommend you to my family, friends and to all my customers. 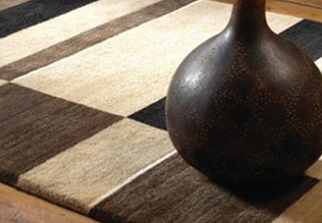 I am delighted with both carpets and the swift service that you gave us. Just a note to accompany the card from the children. Very many thanks for your contribution of the carpets and fittings for the PRU. As you can see from the photo one of these has provided a very comfortable library area in our junior classroom. The other is likely to be of use in our support room. Your generosity is greatly appreciated, particularly at a time when funds are stretched We have needed an area like this for some time and it will be put to extensive use. You have come to my rescue again. First it was the mother with carpet moth problem, then it was I, with my ‘small children’ problem! What the children did on the carpet in their TV room was a mystery. This carpet was through the entire house and visions of my life savings were going up in smoke when I thought how much a new carpet throughout the house would cost me. I couldn’t shift the marks for love nor money. 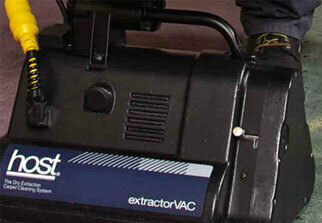 I borrowed a carpet cleaning machine with ‘spot’ remover but nothing removed the stains. However, Steve and his machine sorted the stains out but not the children problem. Thank you again, Steve. You’re ace. This week you cleaned my carpets. The carpets have only been down for a couple of years, and weren’t particularly grubbt, but the pile was becoming a little flat and with two cats and a dog roaming the house, fur is a constant challenge. The difference was remarkable, the pile was lifted and the carpet looked and felt new. Better still, because water wasn’t used in the treatment, there were no quarantined areas. Thanks again, I will definitely recommend your services to anyone looking to have their carpets cleaned. Just wanted to say a few words about the flooring we pirchased from Steve Richmond. I have to say, the lino that we had before was faded and drab looking; and had been for some time. We just lived with it, which coincidentally goes against my entire ethos as a chiropractor- “Just live with it” is not an acceptable statement. So when Mrs. Belcher said enough is enough, we had to really consider something that would be tough and hard wearing as it would have to endure me and my two sons, which is no easy feat! Thankfully, Steve provided us with plenty of options which I’m happy to say have worked out well. The new lino in the short time it has been laid has already been subjected to some cracking abuse already! And still looks new and fresh. One thing of note which I am particularly ecstatic about is the fact that I can walk in from the garden through the kitchen and I don’t leave footprints on this floor, which previously I was ordered to wipe up within moments of making them! This is a huge upgrade not just to the floor, but to my actual quality of life! Thank you, Steve! The lads that came around to fit and sort us out were great and did a top notch job and quick too. Since the floor has been laid it is perfect and has not moved an inch or buckled. Everything has been great- before, during and after. So I would say if you want a decent quality floor that will last you and will be laid well, then you want Steve Richmond. Simple as that.